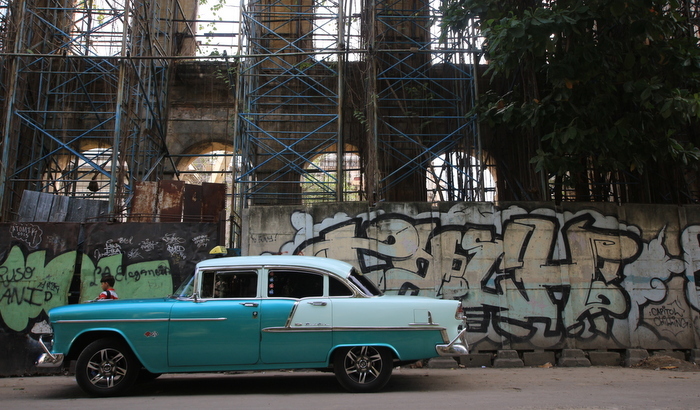 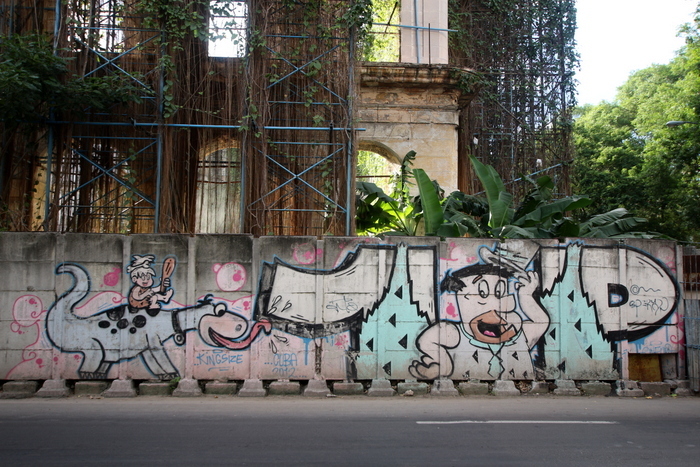 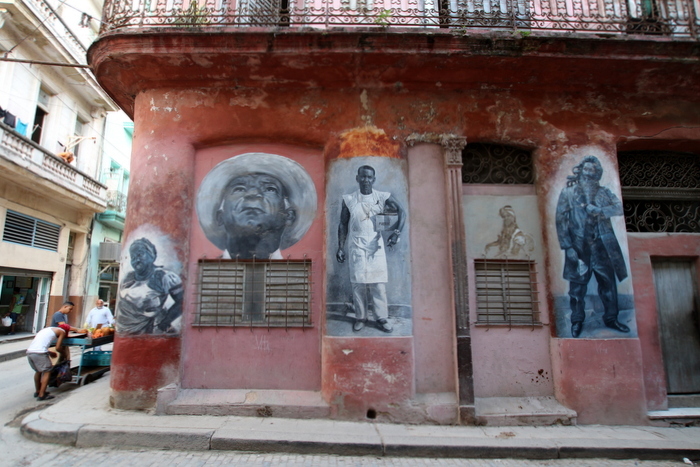 Havana is a great place to check out murals and graffiti with its colonial architecture and abandoned buildings providing a rich urban canvas. 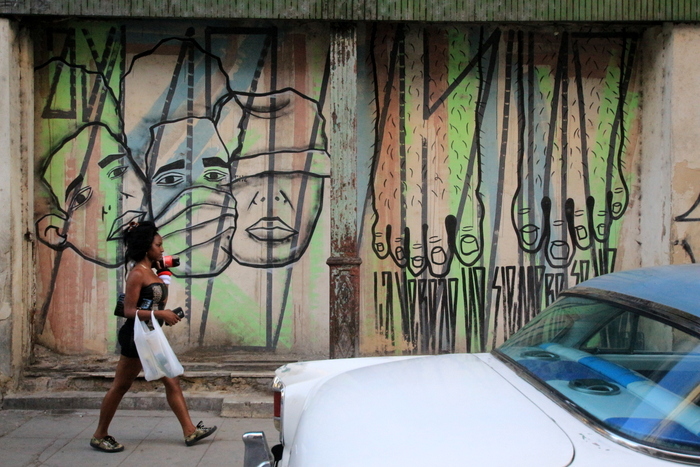 BA Street Art’s Matt Fox-Tucker was visiting Cuba this month and took these photos documenting the murals and artworks to be found around the capital. 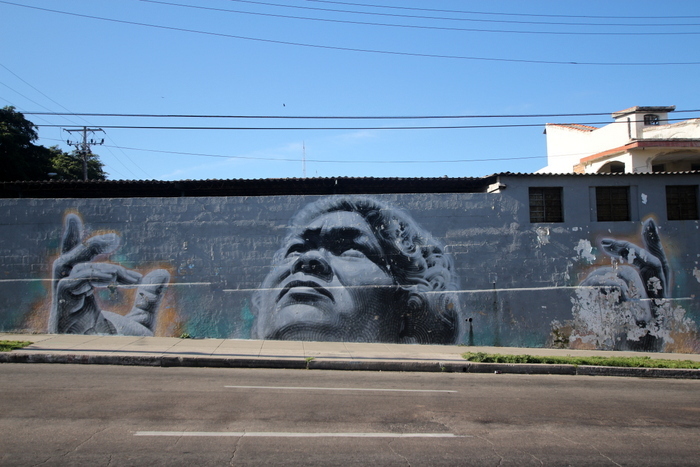 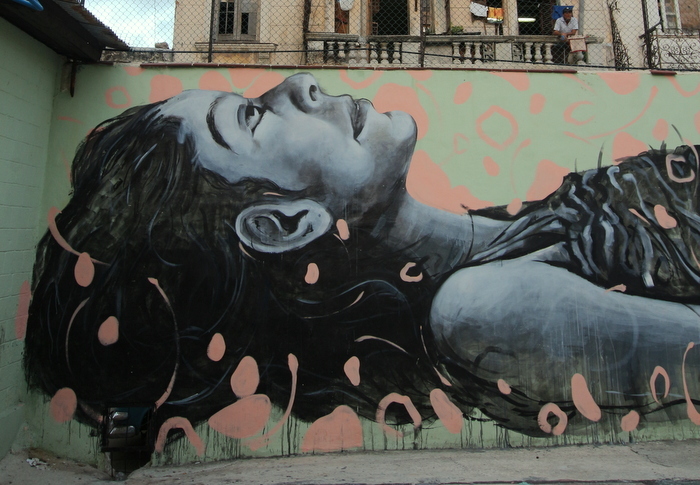 Mural by El Mac in Vedado, Havana painted at the 11th Havana Biennal (2014). 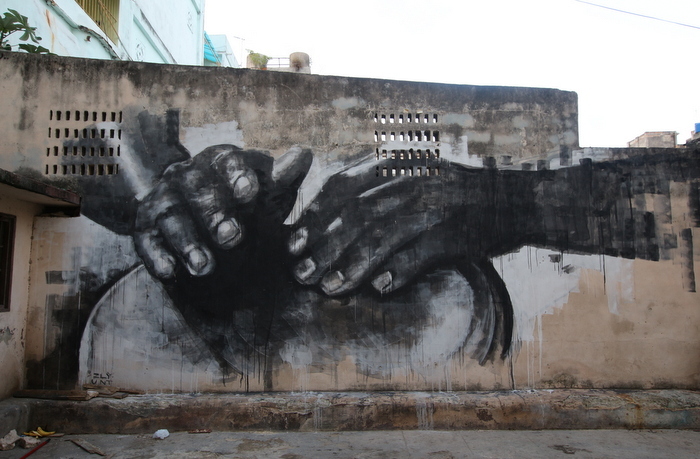 The mural is entitled ‘The Dream Beats Within my Hands’ and features a local cook called Adis Naranjo. 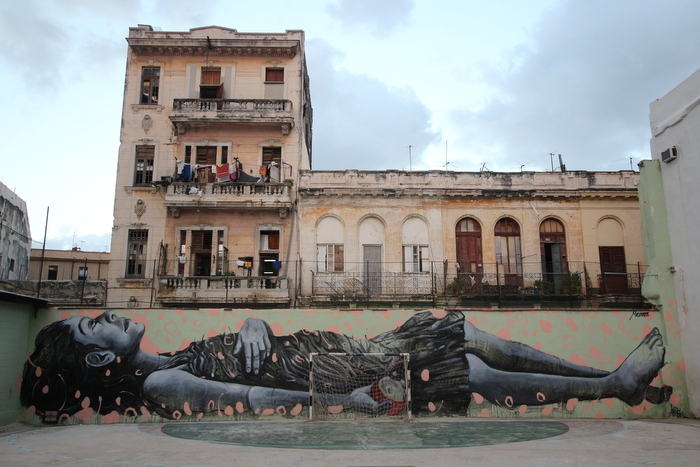 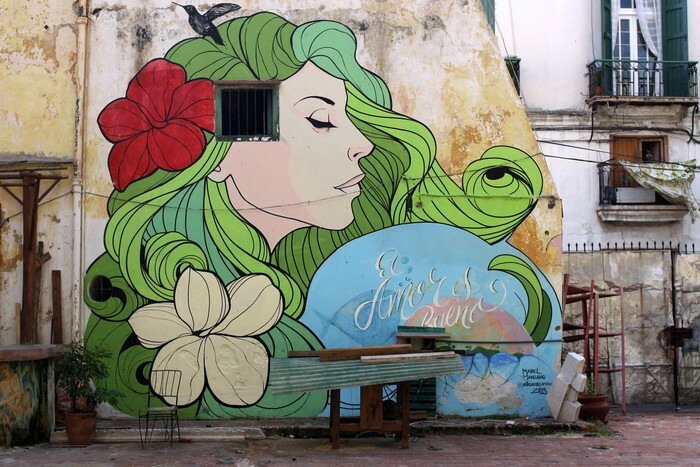 International artists such as El Mac, J.R., Stinkfish, Rodez and the 1up crew have visited Havana in the last few years to paint and take part in art projects such as the Havana Biennal. 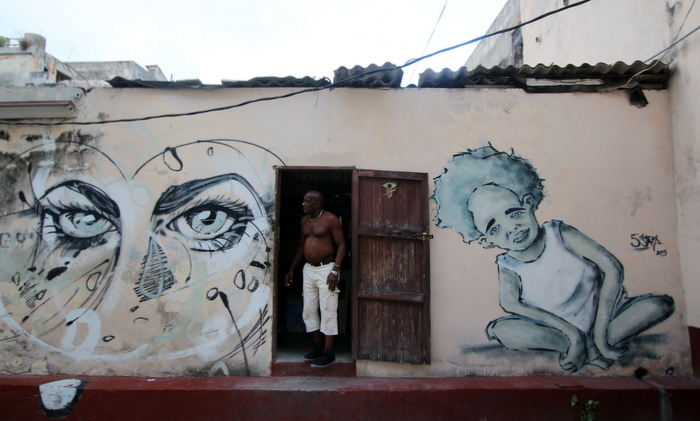 The U.S. artist was in Havana earlier this year and painted this huge mural on the wall of this football and basketball court near Avenida Prado. 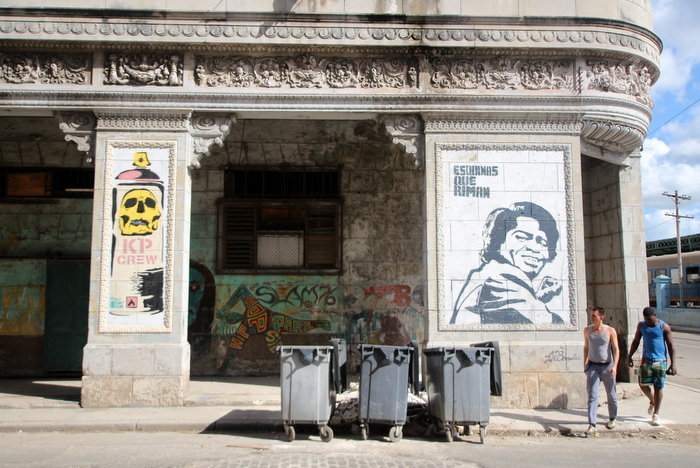 Callejon Hamel is a street that starts at the junction of Animas and Aramburu that is famous for its murals, sculptures, mosaic tiled-walls and artistic interventions. 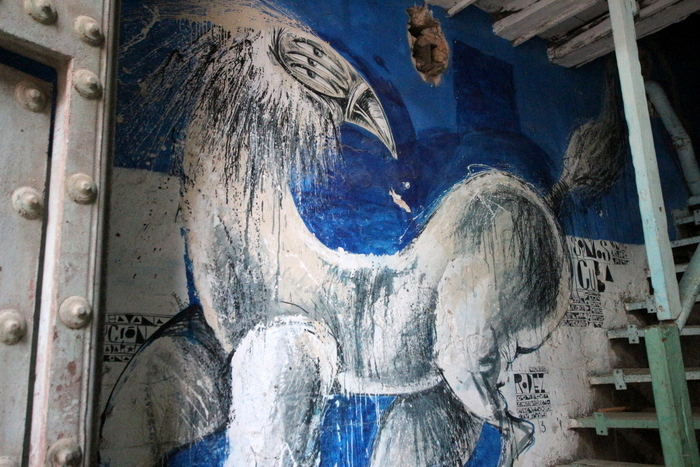 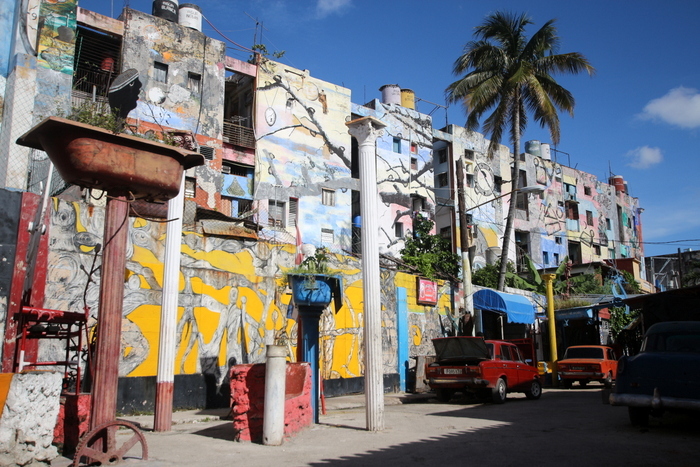 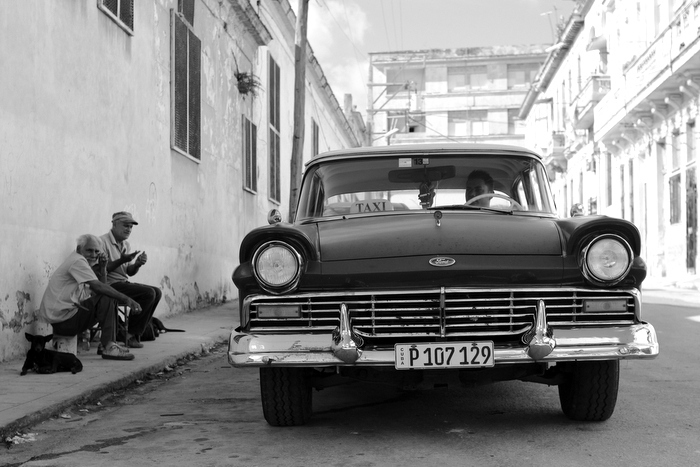 Cuban painter, muralist and sculptor Salvador Gonzales Escalona is the creator of the project. 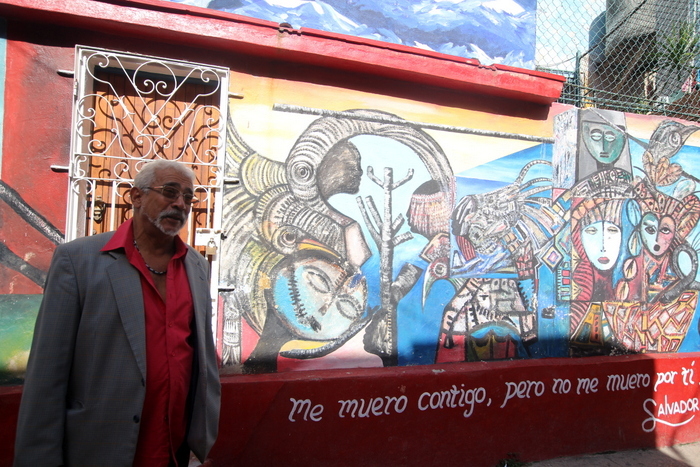 Salvador Gonzales Escalona in front of one of his artworks with the phrase “I die with you but not for you”. 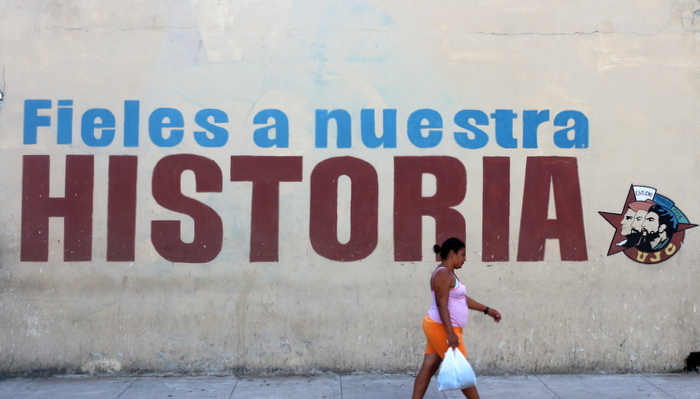 Political propaganda with the phrase “Faithful to our history”. 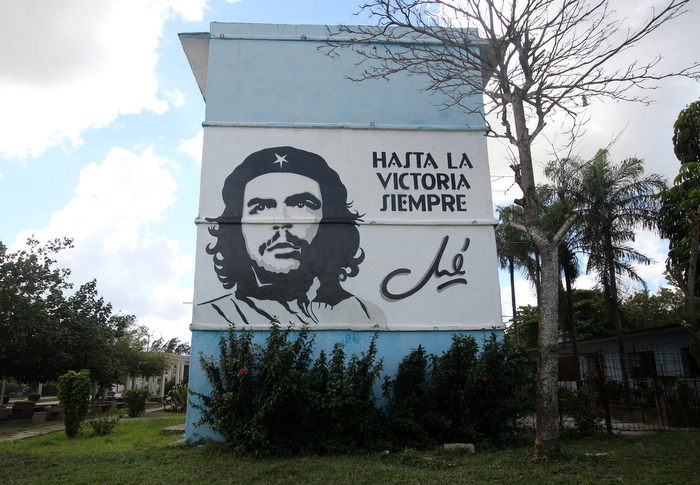 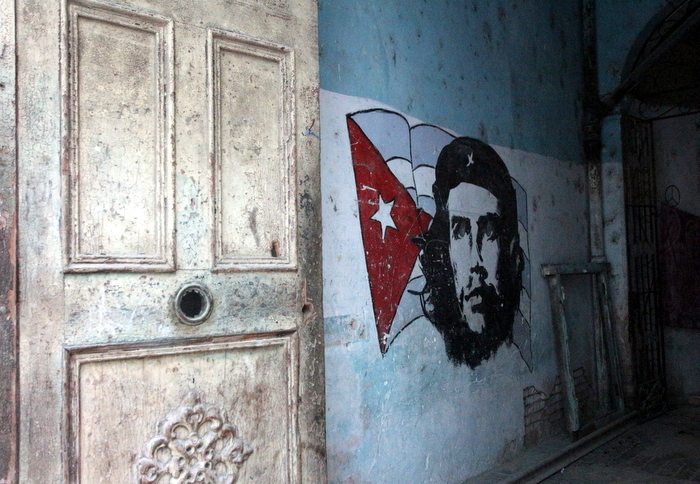 Government propaganda featuring the iconic portrait of Che Guevara by Alberto Korda can also be found all over Cuba. 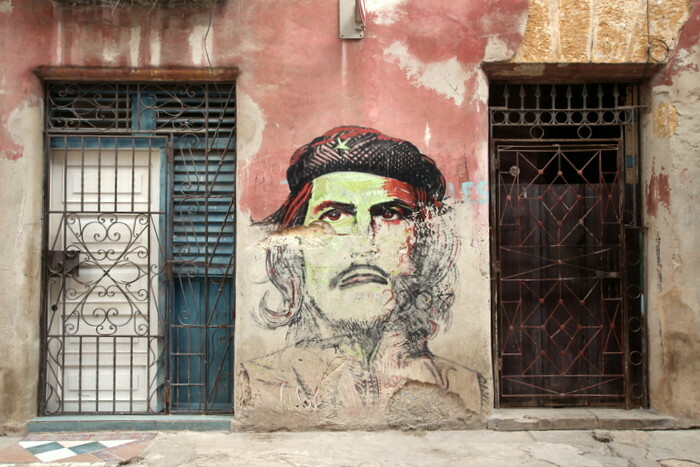 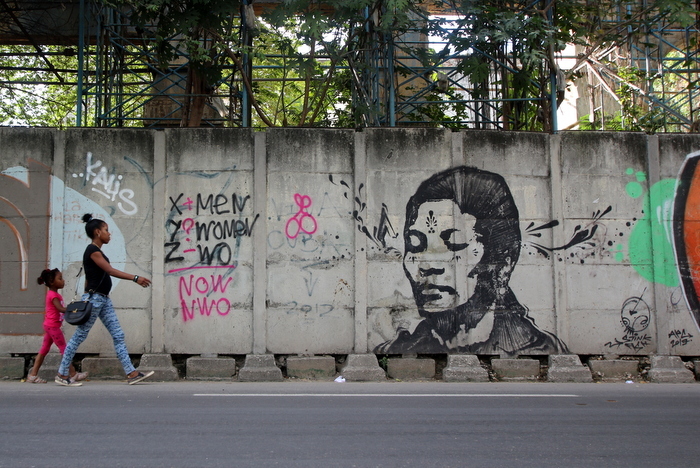 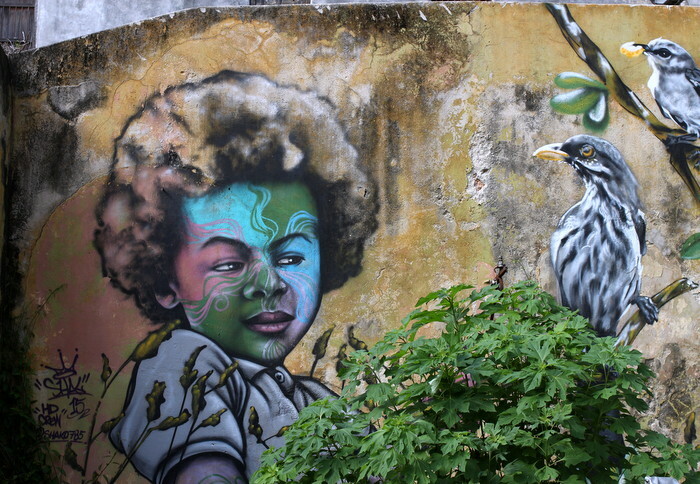 This entry was posted by admin in News, Street Art Cities Page and tagged 1up crew, Callejon Hamel, Che Guevara graffiti, Che Guevara mural Havana, Che Guevara street art, Che mural Habana, Cuba arte callejero, Cuba arte urbano, Cuba graffiti, Cuba murals, Cuba political propaganda, Cuba street art, El Mac graffiti, El Mac street art, government propaganda Cuba, Habana arte urbano, HD Crew, JR, KP Crew, Mabel Manzano, Mabel Manzano artist, Rodez, Salvador Gonzales Escalona, Stinkfish, Zlyunt.